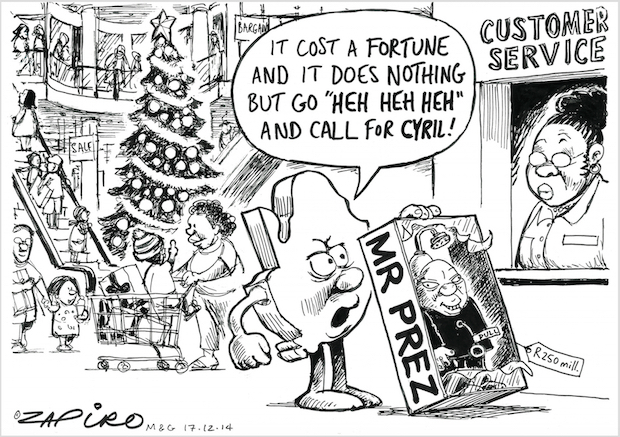 141217mg – The High Cost of Mr. Prez. The numerous alleged scandals engulfing President Jacob Zuma and the ANC administration have affected South Africa’s perception in the eyes of the world. South Africa is perceived to be a corrupt country. The Nkandla scandal, the Spy satellite and tapes saga, the Gupta scandal, and the Arms deal are examples of high-profile and embarrassing state of affairs for South Africa.